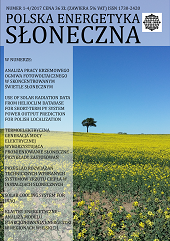 Installed power of photovoltaics systems in Poland grow systematically. 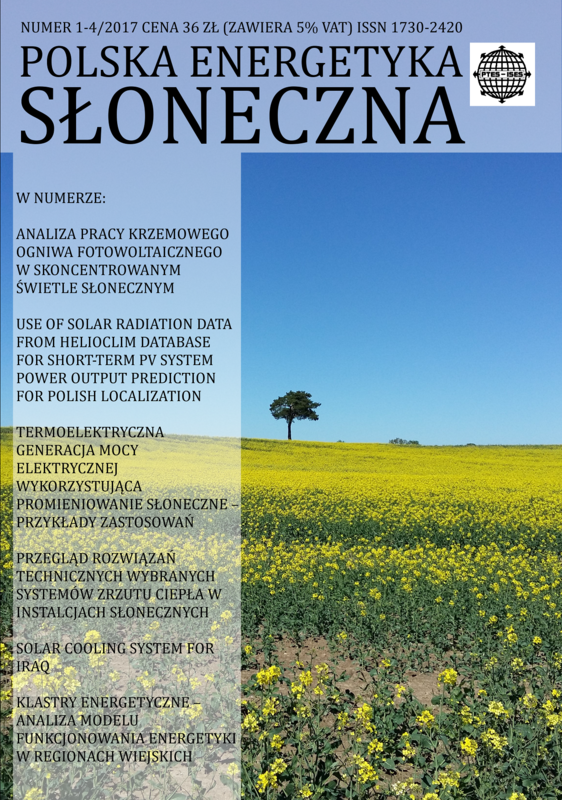 Annual contribution of energy produced from PV systems in Polish power system is still on the low level. Due to irregular and stochastic characteristic of solar radiation distribution during the year in specific weather conditions power supplied by PV system might have impact on operation of electric grid. Such situations occur more often in European countries that developed solar energy sources in their power system. Due to power grid balancing and its stability prediction of power generation in renewable energy sources become more important. On the other hand development of earth observation techniques give new tool for accurate solar radiation data acquisition and its prediction. Article presents PV system output power model based on data from HelioClim database. HelioClim database stores solar radiation data obtained from Meteosat images received from Eumetsat, it also contains 24 hour solar radiation prediction model. PV system model is validated for the historical data and used to predict energy output from a specific system. Received prediction of energy production is compared with real output power of a system. The main purpose of this paper is to analyze the various cooling systems, using the readily available solar energy to cool down the buildings in Iraq during hot weather days. This paper presents the best solar cooling system which can be installed in Iraq for solar cooling. It also focuses on the type of thermally driven system which can be used for solar cooling. 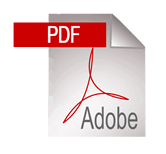 It is fact that many buildings in Iraq are designed far away from being energy efficient, hence this paper focuses on the standards which can be developed and can be used in the future on residential buildings from the energy point of view, with a suggestion to establish such solar cooling projects in Iraq. 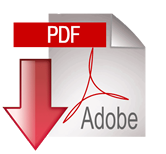 The main purpose of this paper is to present the cooling conditions in Iraq. This paper is trying to show solar cooling technology, which can be used in residential buildings in Iraq. Appropriate solar collectors for solar cooling in Iraq and storage tank will be perfect according to Iraqi conditions. This paper also aims to address the increasing demand of the air-conditioning system in Iraq, due to the growth in economy and business, which has increased the demand for purchasing power in the last few years. The paper also focuses on reducing consumption of fossil fuels and proposes solar cooling system in Iraq, which would be economical and suitable for the environment. Business, legal and intellectual resources have been concentrated around the transformation of the electricity sector in Germany. The financial burden and risk have been redirected in large extent towards society. Despite one of the highest electricity fees for households in Europe, Germans accept the reform. Poland is facing serious challenges in the process of modernisation of power engineering. While observing the power sector of Germany, it is worth to draw lessons from their experience. In both countries, the differences in the power sector are significant, and the discrepancy in the purchasing power of money in these countries is relevant. Realized analysis made it possible to draw conclusions for Poland for the development of power generation and distribution of electricity.